Original 21 Day Fix Workouts (2015) which exist in the Beachbody On Demand member library. For those who have purchased Ultimate Portion Fix, you’ll have access to the 21 Day Fix Real Time Workouts, which start filming daily on April 1, 2019. The Calendar that guides you through the workouts is available in the Resources tab in the Ultimate Portion Fix tile. These workouts will be available in the BOD member library starting on May 31, 2019. Tune in to an intro message from Autumn about Getting Started. Quick-Start Container Chart helps you determine how many containers you need to eat fulfill your caloric needs. What you eat accounts for 80% of your results, so it’s essential to stick with the 21 Day Fix Eating Plan. After reviewing it, spend some time today throwing out all the unhealthy food and beverages from your refrigerator and pantry. The truth is if the "treat" isn’t around when your cravings hit, you CAN’T eat it. And chances are your urges will pass long before you drive all the way to the store. If you haven’t already, check out BeachbodyOnDemand.com, where you can stream your 21 Day Fix workouts and access the eating plan, food lists, meal planner, grocery lists, and more! This is especially helpful if you haven’t received your 21 Day Fix package yet. Once you’ve signed up, you can then download the Beachbody On Demand app! Sometimes your goal feels so far away. That’s OKAY—the key is to make steady progress. Remember, the only way to get anywhere is one step at time! How will you keep yourself on track? They say it takes 21 days to make a habit…so let’s get started! Nobody ever regretted eating healthy, so be empowered by your choices today. It may not be easy but it WILL be worth it! Talk about a transformation: Katie had not felt good about her body in a long time. She became accustomed to stuffing herself with huge portions of food that weren’t quite “the healthiest.” That was until she found 21 Day Fix…after 21 days, she lost 8.5 pounds and 6.5 inches! “I was nervous that the meal planning was going to be difficult to keep track of and that the portions were not going to be enough to keep me full, but it was so easy! I received better results than I ever thought possible!” —Katie! *Results vary based on starting point and effort. What positive changes have you noticed since starting to drink Shakeology? It feels great knowing I’m fueling my body with healthy, nutritious meals. And what I love is there are so many Fix-approved recipes out there! Just check these out on the Team Beachbody blog (container equivalents included with each). Week 1 is in the books! What was the most challenging part for you? Share in the comments below! Have you heard the saying, “You are what you eat?” Well, it’s true. Think of your body as a machine and the foods you put into it as fuel. If you feed your machine high-quality foods, it will run smoothly and efficiently. Feed it junk, and your machine will be sluggish! This applies to kids too, which is why I’m thrilled to give my family Daily Sunshine. With its balanced 3-in-1 formula that includes a full serving of fruits and veggies, 10 grams of protein, and healthy fats—it’s a great alternative to some of the other snacks out there. But the best part? It’s DELICIOUS so my kids actually ask for it and if I’m being honest, I’ve been known to sneak some myself when I’m craving something sweet. What small change to your lifestyle will you make this week? Has anyone streamed a 21 Day Fix workout outside, at the gym, or while traveling with Beachbody On Demand yet? If so, let us know where you got your Fix on! Instead of grabbing a packaged protein bar, why not make your own? These Shakeology Sunshine Bars take 10 minutes to prepare and taste so good that you won’t believe they’re healthy! This salad is delicious and easy to make, plus it’s packed with vitamin A, vitamin C, and tons of protein! Sounds like a 21 Day Fix win to me! Who felt the burn this week? What workout has been your favorite? Tell us below! From the grocery store to your pantry to your daily workouts, it’s all about creating habits that make you feel good! How are your actions getting you closer to your goals? Don’t have much time to cook? Check out these simple meal prep recipes. (Fix container equivalents included on each!). Now that we’re nearing the end of our 21 Day Fix challenge, how will you continue to improve your nutrition and fitness? For some of you, completing another round of 21 Day Fix will be a great way to continue with your healthy lifestyle. But if you’re ready to take it to the next level with extreme workouts and clean eating, I suggest you try 21 Day Fix EXTREME. Message me if you’re interested. Who’s inspired to keep going? 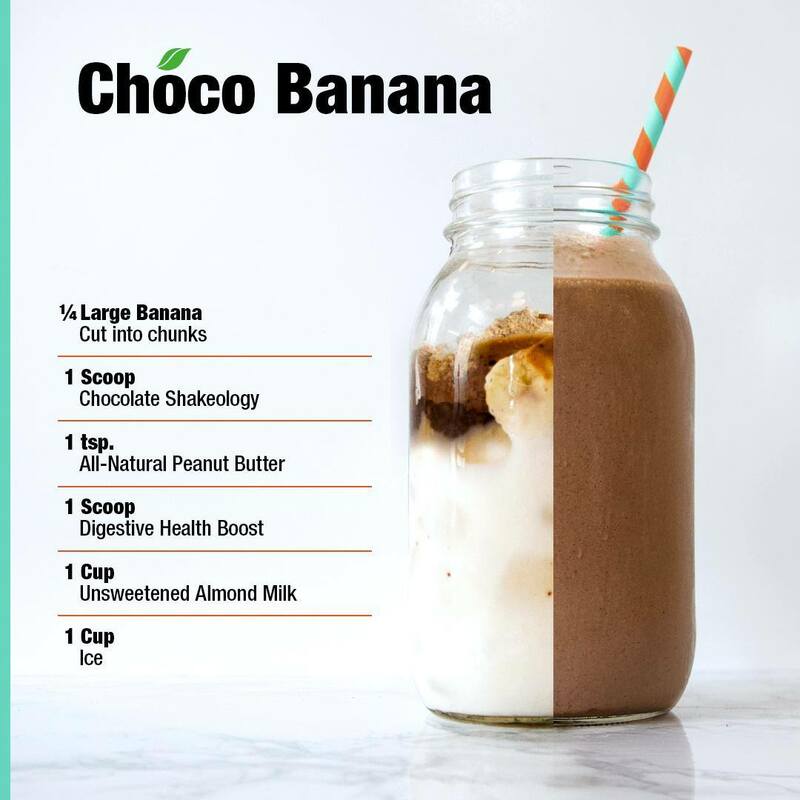 By now, you might have your favorite “go-to” Shakeology recipe. I personally love adding some chia seeds, spinach, and almond milk with any flavor of Shakeology to get a delicious shake. What do you add to yours to customize it? What was your favorite new meal that you tried while doing 21 Day Fix? Comment below! Congrats—we did it! Amazing work, everyone! You’ve come so far, but I encourage you to keep up your fitness and nutrition regimen! Who’s planning to do another round?